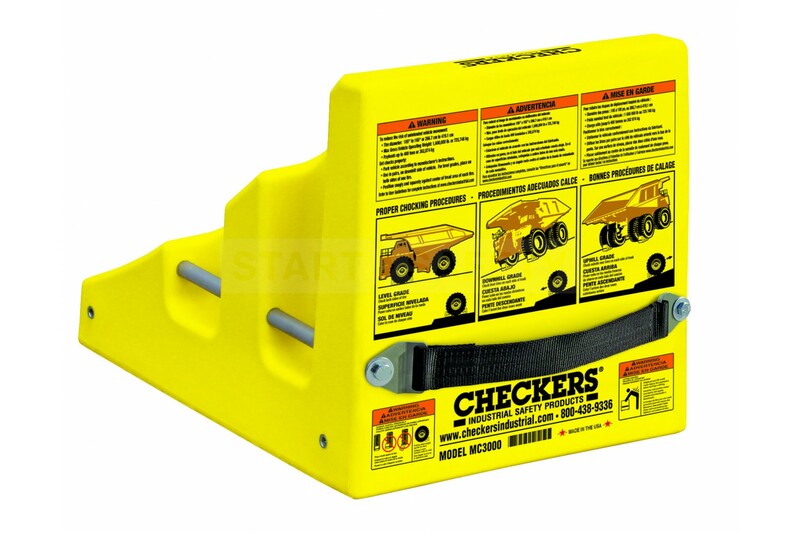 The MC3000 wheel chock system offers lightweight yet incredibly resilient construction; the entirety of the MC series offers a larger base surface area than the AC and UC models from Checkers®. As per the rest of the Monster® range the MC3000 is made from UV stabilized Polyurethane that offers a long life span along with weather and chemical resistance. The MC series of wheel chocks have been engineered for use with heavy equipment such as haul trucks, and cranes. 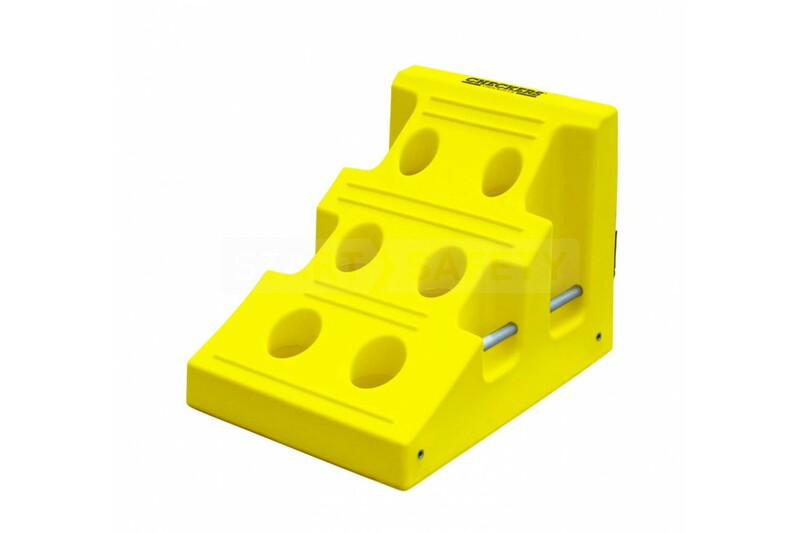 They are frequently seen in use on mining sites around the country for this reason. The MC3000 incorporates molded-in ANSI Z535.4 compliant chocking guidelines; these are molded into the surface in English, Spanish and French with color illustrations. Due to the size of these items, there is a separate transport trolley available, this can be found in the related products section below.